A low-maintenance reusable respirator that offers excellent mult-purpose protection. 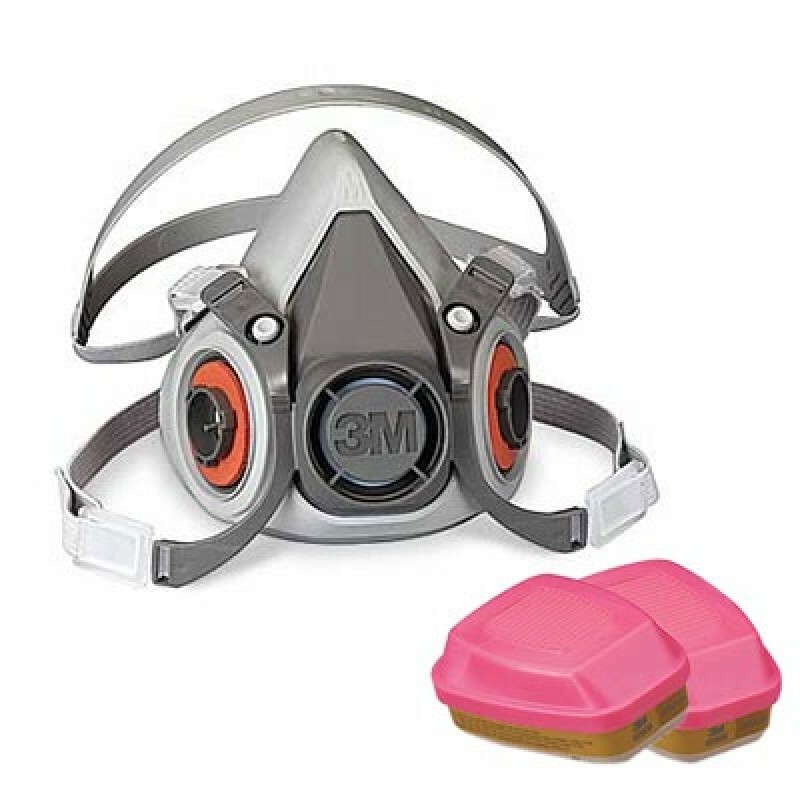 Combined with the 3M 60926 Series Cartridges, this respirator is one of the lightest multipurpose reusable half masks. Extremely cost effective, it can be washed and reused many times. Use in a variety of applications, including petrochemical and chemical processing, utilities, pharmaceuticals, mining and primary metals. When properly fitted, helps provide respiratory protection from certain organic vapors and particulates, chlorine, hydrogen chloride, sulfur dioxide, chlorine dioxide, hydrogen sulfide (escape only), ammonia, methylamine, formaldehyde or hydrogen fluoride at concentrations up to 10 times the Permissible Exposure Limit (PEL) with half facepieces. Do not use in environments that are immediately dangerous to life or health (IDLH). OSHA requires that gas-proof goggles be worn with half facepiece respirators when used against formaldehyde.